Customer Satisfaction vs. Customer Loyalty. Do You Know the Difference? Let’s start by defining the two. Customer Satisfaction is a measurement of customer attitudes toward products, services, and brands. Customer Loyalty has two parts. Customer Loyalty is made up of loyalty behavior and loyalty attitudes. The first, loyalty behavior (i.e. customer retention) is the act of a customer making repeat purchases from a brand rather than choosing a different, competing brand. The second is loyalty attitudes which are a customer’s opinions and feelings about products, services, or brands that are associated with repeat purchases. At times, a customer can display loyalty behavior without loyalty attitude. And vice versa, a customer can display loyalty attitude without exhibiting any loyalty behavior. How long do you expect a customer satisfaction survey to be? The primary reasons for assessing customer satisfaction are to maximize customer retention, and to gain and retain customer loyalty. Customer satisfaction is essential to the survival of any business. How do we find out whether our customers are satisfied? We ask them. Customer satisfaction surveys are an important tool used to gather feedback from customers about their satisfaction levels, and for developing strategies for improvement. Please join us, tomorrow, Thursday, March 20th as UK Training Consultant Marc Ellison will run one of our popular free hints and tips webinars. Marc will be covering design questions that surfaced during our recent customer satisfaction survey. Marc will also demonstrate some of the clever design techniques that we used in our recent “Big Quiz” plus more. If you’d like to see a particular aspect of questionnaire design covered in this webinar, we welcome you to email us and we’ll do our best to fit in your topic. 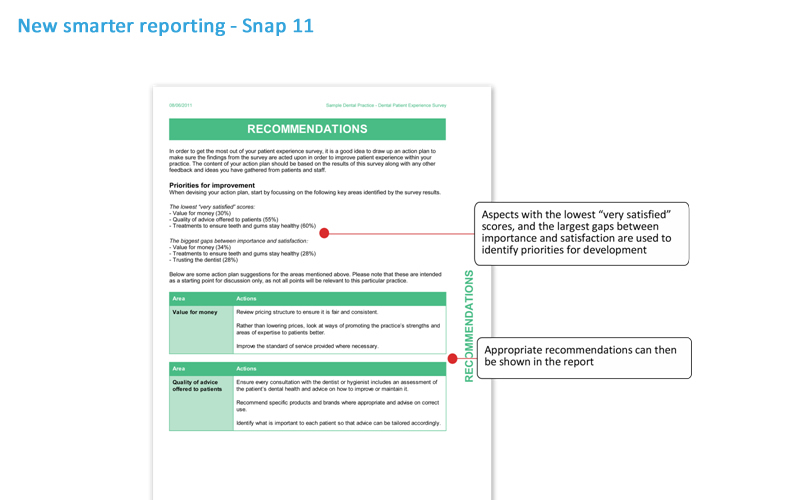 With Conditional Reporting, a Smart Reporting feature now available in the newly released Snap 11 Survey Software, you can include or exclude report content driven directly by the context or by cell values of background analysis. For example if “friendliness of staff” scored poorly in a customer satisfaction survey, a more detailed breakdown of the results can be included. This wouldn’t appear in the report if “friendliness of staff” scored favorably. As we previously discussed in our blog post, Do You Know the Difference Between Customer Satisfaction and Customer Loyalty?, customer loyalty consists of two main factors, including: loyalty behavior and loyalty attitudes. Loyalty behavior is when customers make repeat purchases of current brands, rather than buy from competitor brands (customer retention). And, loyalty attitudes are opinions and feelings about products, services, brands, or businesses that are associated with repeat purchases. Customer loyalty is a critical component of maintaining a successful, long-term business. Customers that are frequent users of your products or services are more likely to be repeat customers and recommend your business to others – keeping the business relationship alive and away from your competition. Satisfied employees help produce satisfied customers. Satisfied employees are likely to assist customers with a more pleasant demeanor and a higher level of customer service. This creates a more satisfying customer experience, increases customer loyalty, and ultimately drives increased profitability. Conversely, low employee satisfaction and overall low employee morale can negatively effect company operations greatly, causing dissatisfied customers and hurt profitability. Any business, including your business, needs to focus efforts on front-line service staff – those employees that have direct, daily contact with customers. 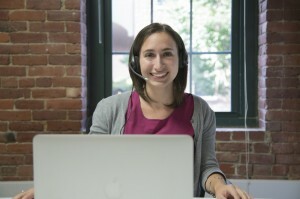 The connection between front-line employees and customers should be at the center of management attention. Managers need to take into consideration the additional factors that yield profitability at every level in the organization, including: investment in good, quality workers; technology that supports front-line employees; concrete recruiting and training practices; and compensation linked to employee performance. 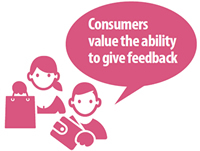 Take customer satisfaction into consideration when developing strategic business decisions. The most efficient way to measure customer satisfaction is to develop customer satisfaction surveys with the help of a good survey software solution. An advanced survey software solution can manage multi-mode survey research methods – produce the same survey in different formats; including online surveys, mobile surveys, paper surveys, and more – depending on the best method to reach your target customer base. Customer satisfaction surveys are designed to give you anonymous and unambiguous insight into your customers’ thoughts and perceptions pertaining to your products, services, programs, and your organization as a whole. They can also provide valuable information leading to what needs to be changed in order to retain lasting customer relationships. Using Conditional Reporting, a Smart Reporting feature of Snap 11 Survey Software, you can include or exclude report content driven either directly by the context, or by cell values of background analyses. For example if “friendliness of staff” scored badly in a customer satisfaction survey, a more detailed breakdown of the results can be included. This wouldn’t appear in the report if the score was positive. Action plans can also be included based on scores. For example if “friendliness of staff” was scored poorly, suggested actions can be included. This wouldn’t be included if “friendliness of staff” wasn’t identified as an issue in the customer satisfaction survey. Surveying your customers is a great way to learn more about customer satisfaction, areas where your products, services, or overall organization needs improvement, perceptions about your brand, and many more. However, over-surveying your customer base can cause a decline in response rates and may also weaken the value of your surveys. Your customers are flooded with requests for feedback through online and email surveys, mobile devices, and through many social media outlets. Don’t be that organization that inundates their customers with incessant requests for feedback. In December, we ran a Hints and Tips webinar based on feedback from surveys submitted using the AttachIt feature during our Customer Satisfaction Survey. The webinar is now available for you to watch and share with fellow researchers and colleagues. This webinar is based on an online survey submitted by Snap Surveys customer Hertford Regional College. Snap Surveys Training Consultant Marc Ellison shares some simple tips to enhance the usability and branding of your online surveys. » View hints and tips for creating better surveys now!